The word “kedgeree”, according to The Concise Hobson-Jobson, “appears to have been applied metaphorically to mixtures of sundry kinds and also to jargon or lingua franca.” That definition, from the Anglo-Indian glossary first published in 1886, still finds a place in this issue’s cover story: our humble attempt to capture some of the flavour of Delhi talk, which is as much a commingling of linguistic and cultural sources in the 21st century as it was in the 19th. 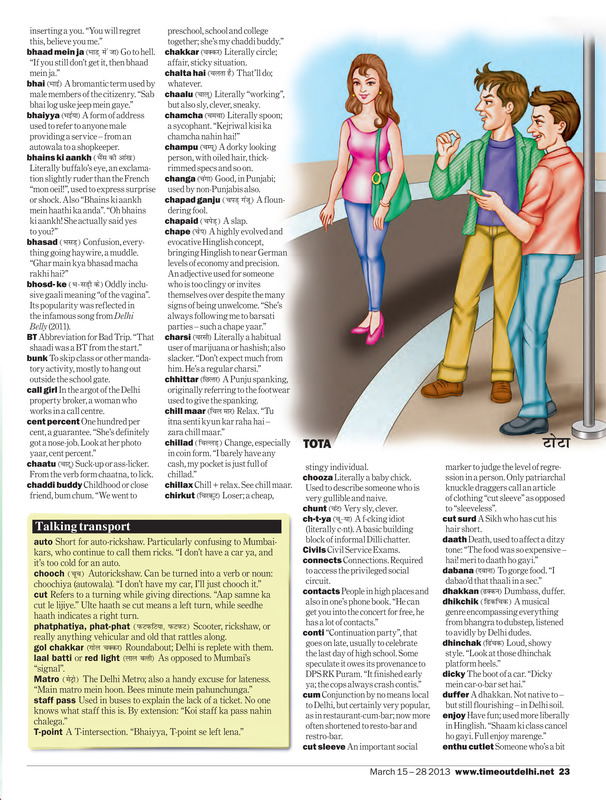 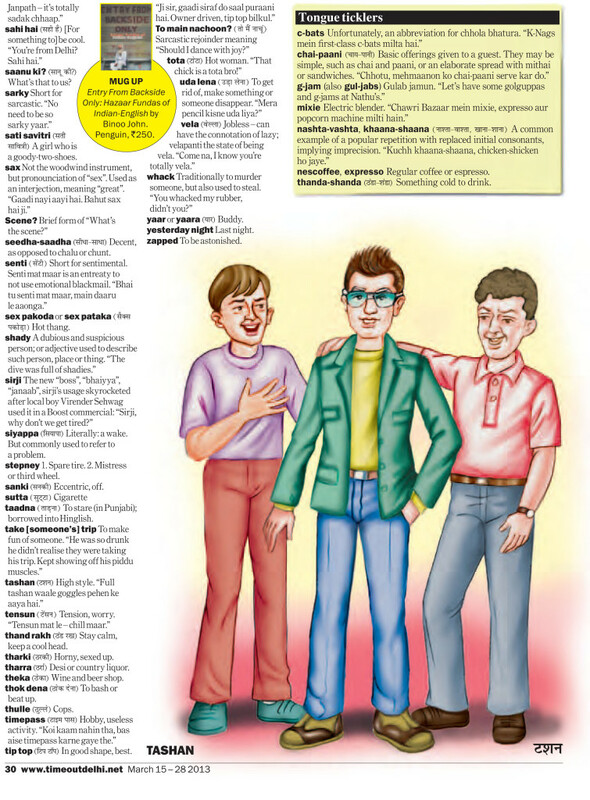 Creating a dictionary of slang, which exists at the edges of standardised language, is a slippery and paradoxical exercise even for proper linguists, and we don’t presume to provide an authoritative source. 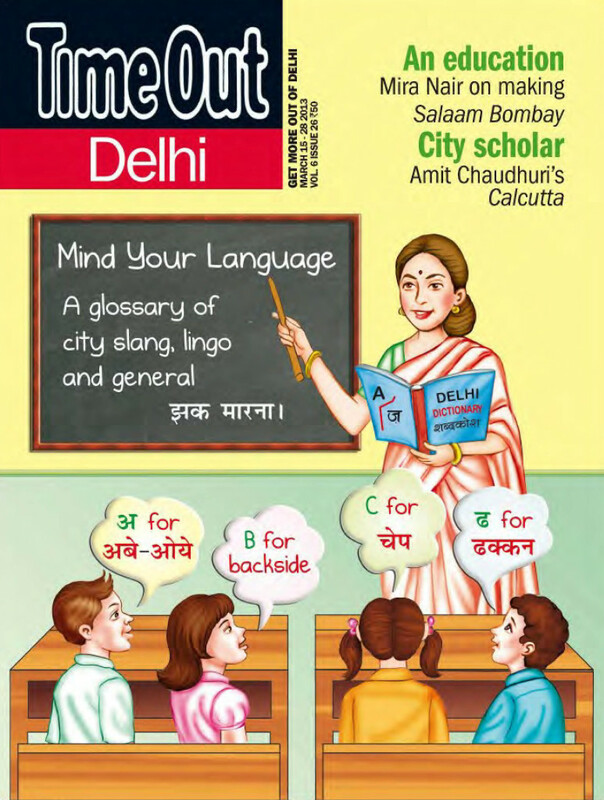 What we do hope you find in the following pages is an echo of the joyous, polyglot cacophony of our linguistically absorbent capital city, as well as some insights into why we speak the way we do. 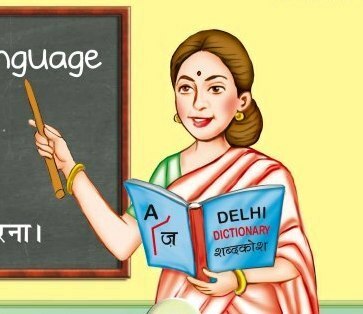 To go with the faux-educational tone of this sheher ka shabdkosh, we’ve also commissioned illustrations by the same artists who design those ubiquitous alphabet and “good habits” charts. 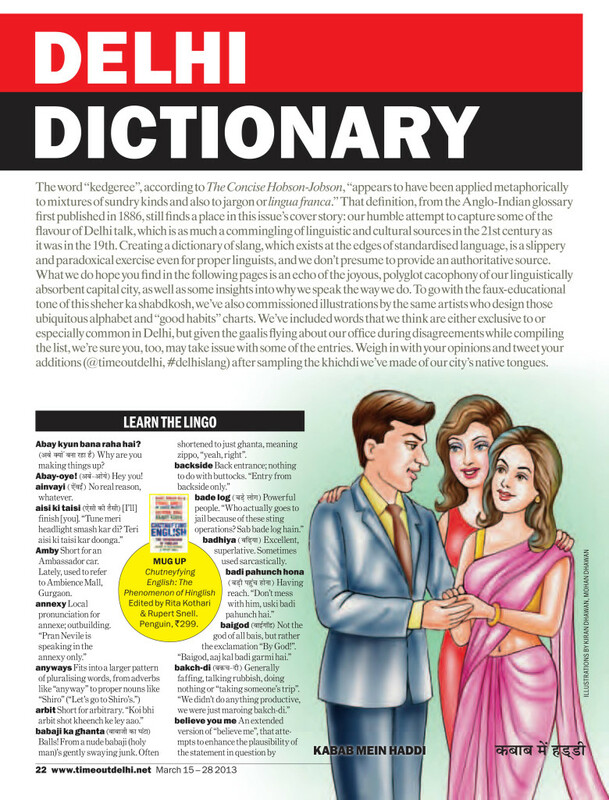 We’ve included words that we think are either exclusive to or especially common in Delhi, but given the gaalis flying about our office during disagreements while compiling the list, we’re sure you, too, may take issue with some of the entries. Weigh in with your opinions and tweet your additions (@timeoutdelhi, #delhislang) after sampling the khichdi we’ve made of our city’s native tongues. 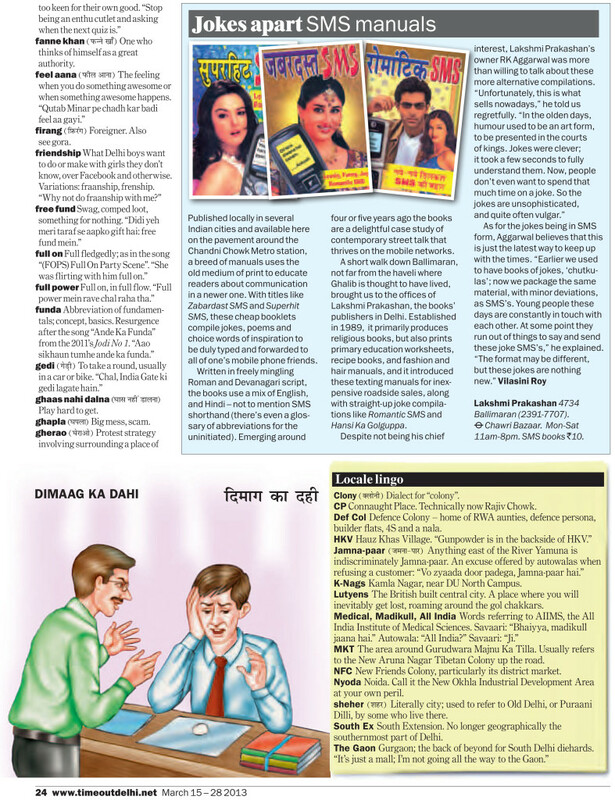 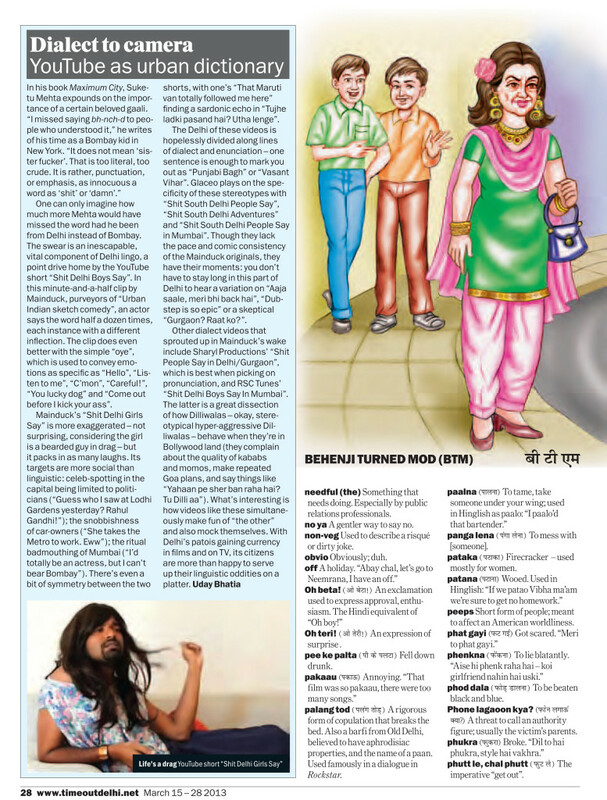 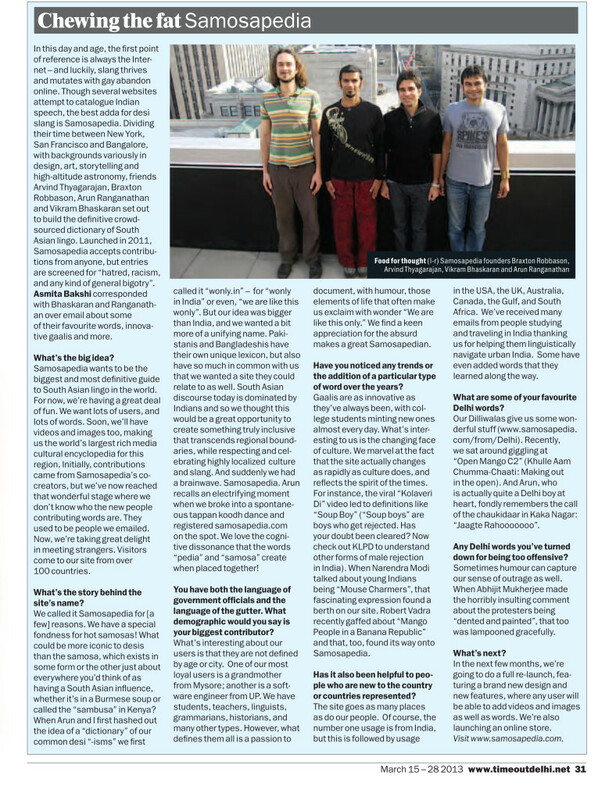 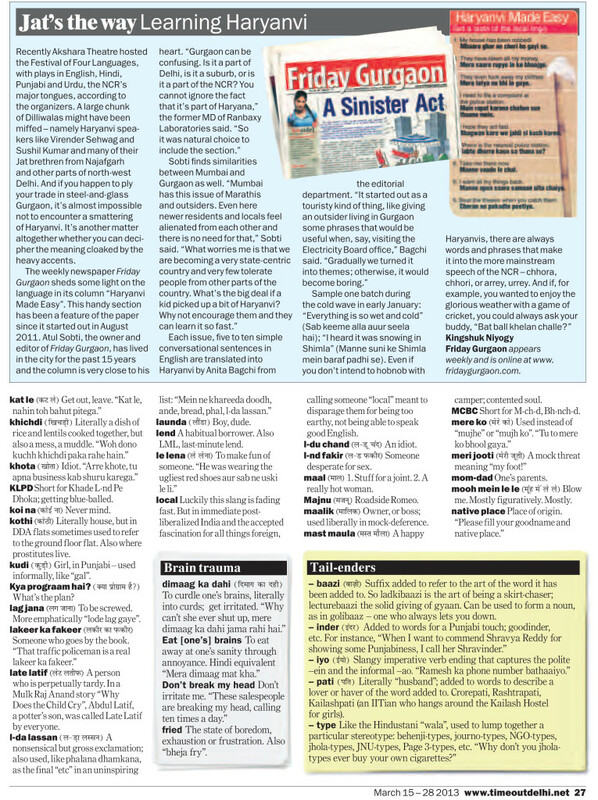 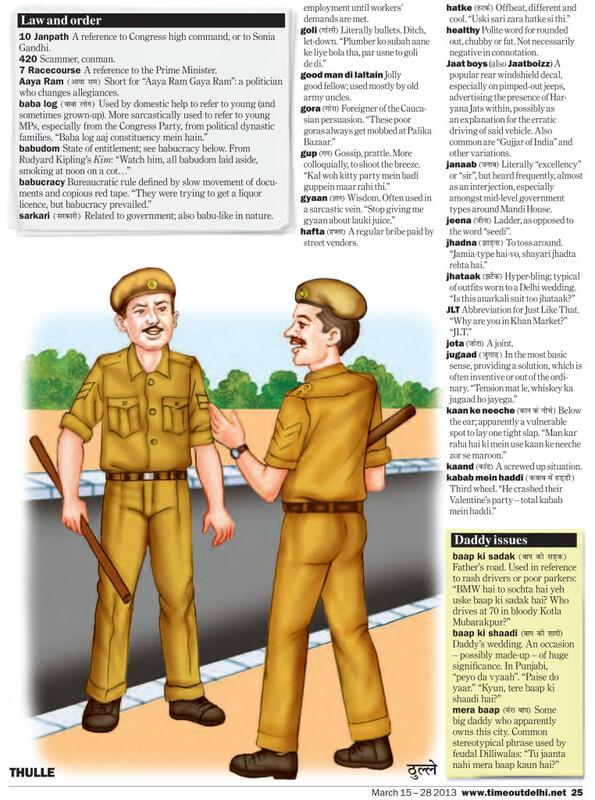 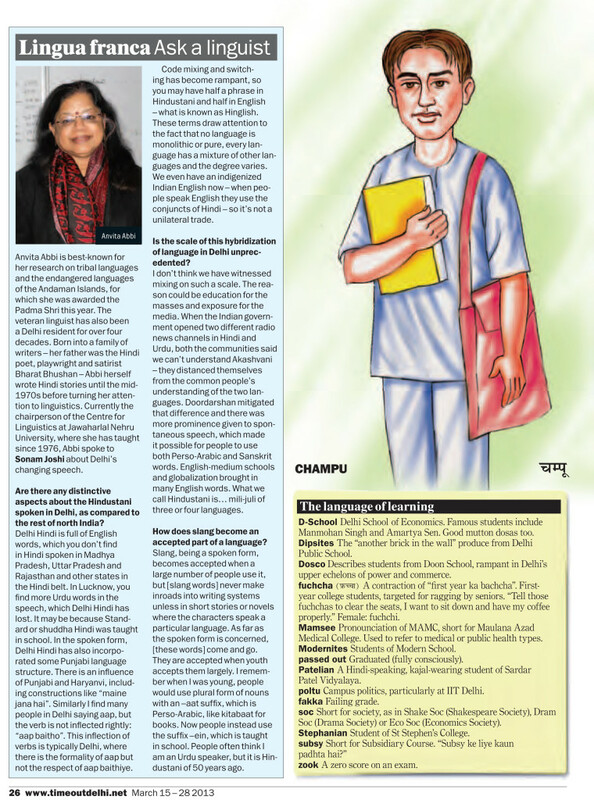 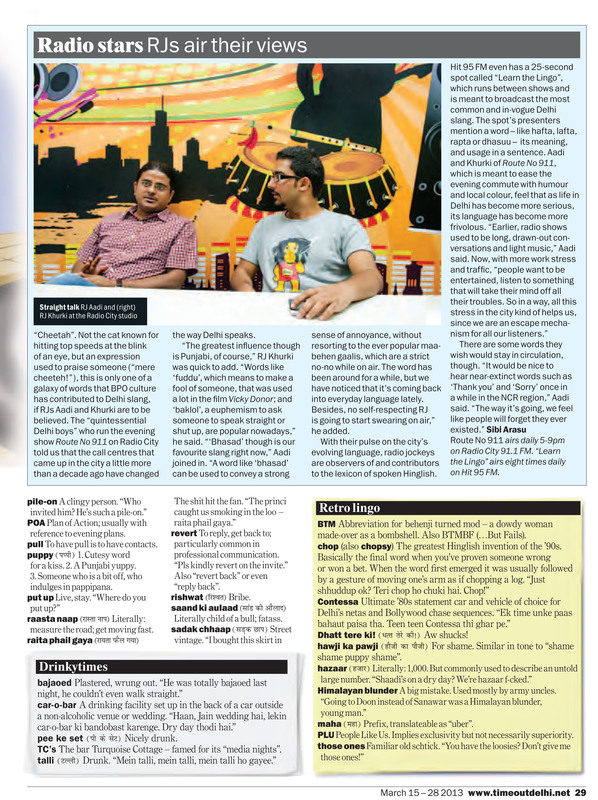 Read the full story below, download it as a prettier PDF here, or find it online at Time Out Delhi.